Disputes over building works can be stressful, costly and time consuming. You will have heard many stories about the “unreasonable” owner who wants everything done for nothing and the “unreasonable” builder who cannot get the works finished in time. Whether it is a large commercial building or a home, disputes usually occur over the quality of the works, cost of the works and time taken to carry out the works. 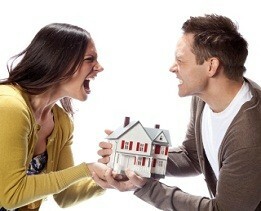 Disputes sometimes arise as a result of someone being unreasonable, however most disputes arise as a result of poor communication between builders and owners. At the beginning it is important to get the terms of the contract right and to make sure that it fits in with the commercial building or home project. Each contract needs to be properly prepared and amended to make sure that it covers all aspects of your particular commercial building or residential building project. It is also important to make sure that you understand what is in the contract and how the paperwork and any timeframes are to be dealt with during the course of the building works. If, at any stage of the process you find yourself in a dispute, having a properly prepared contract and having a record of all conversations will assist you in resolving the dispute. Should your attempts to resolve the matter yourself become unsuccessful, we invite you to join us on 26 March at the Tradies Gymea for the first event in the Builders Industry Series 2013 where we will discuss Contracts and Dealing with Disputes. For further information, please contact the Commercial Litigation Team.